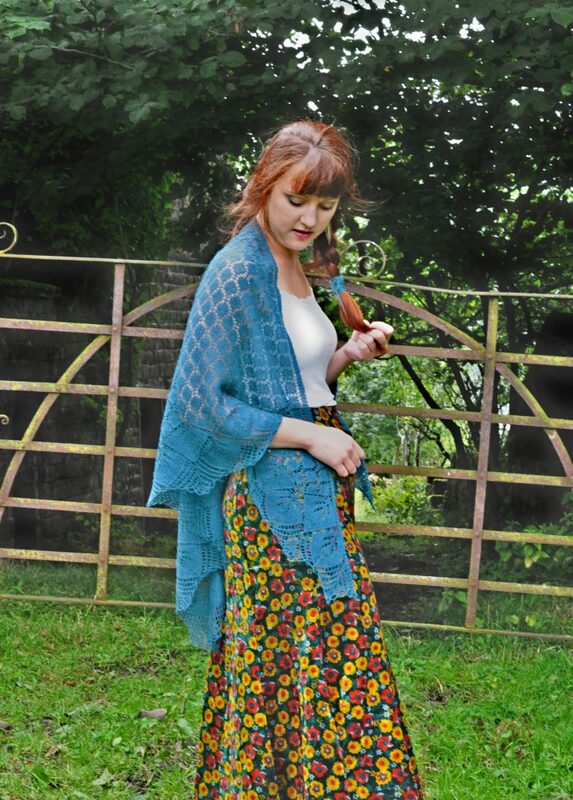 In this beautiful shawl lace diamonds offer a delicate look when combined with a floral edge and loop bind off. Knitted from the top down in one piece, this seamless accessory will become a much-loved wardrobe staple. The pattern provides the lace instructions in both full written form and charts. It also includes a clearly illustrated tutorial for the use of ‘lifelines’ – an optional form of risk management that many knitters like to use when knitting lace. The finished shawl measures 178cm/70″ along the top edge and is 97cm/38″ deep at the centre, as shown in the blocking diagram on page 7. 115g of 2ply/laceweight yarn with approximately 800 metres/874 yards per 100g (400 metres/437 yards per 50g). 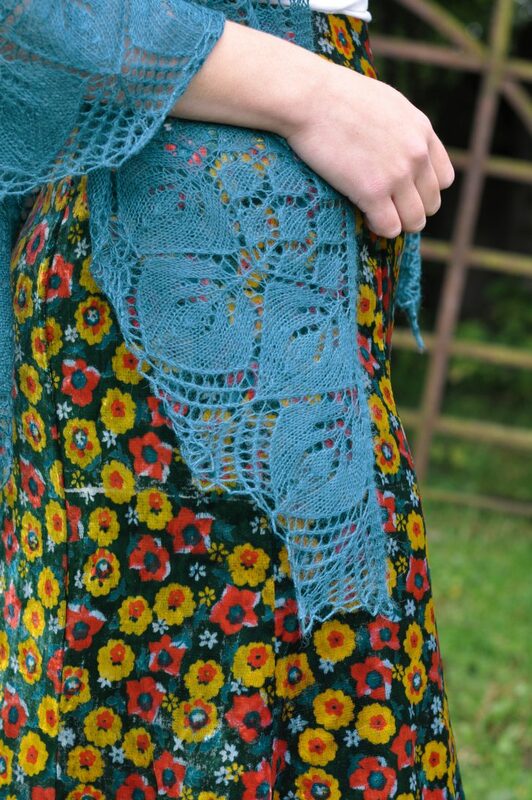 The pictured sample was knitted with Rowan ‘Fine Lace’ in Aged #933. 2.75 mm/US circular needles for flat knitting with long rows. 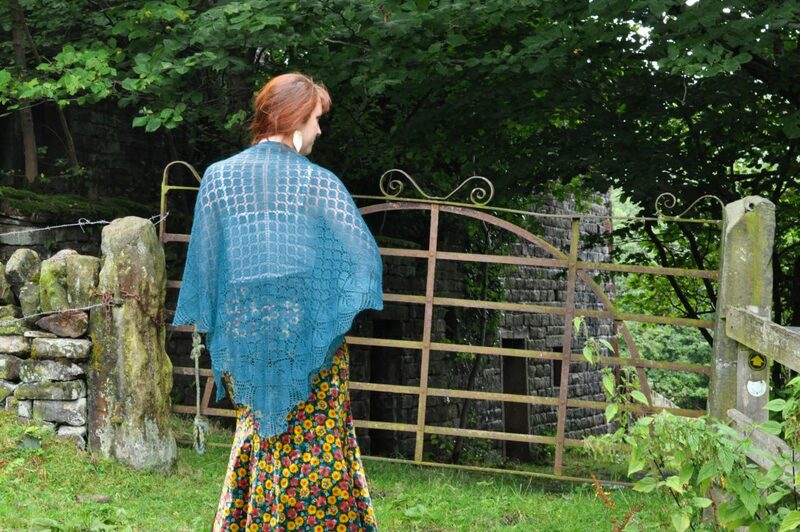 22 sts and 38 rows per 10cm/4″ in blocked Main Shawl lace pattern.